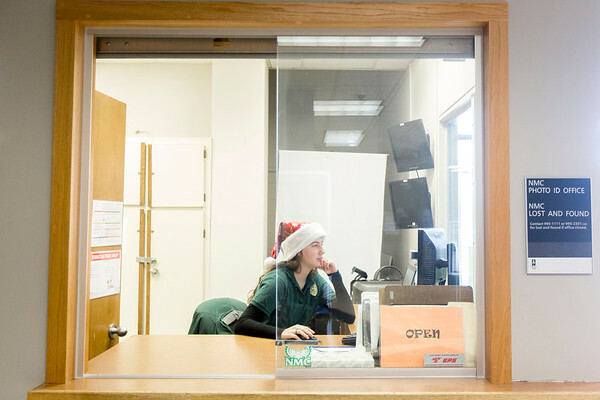 Alyssa Wycoff, student security at Northwestern Michigan College, waits in her office at the front of West Hall on campus. While students are enjoying their semester break, Wycoff, of Mancelona, sits working at her desk. Current registration shows enrollment is down 2.9 percent. Students will return to campus on January 15.